I was 21 years old when I purchased my first farm. It was in 1979 and it was similar economic conditions to now. High grain prices had pushed land to a new all time high and I had to pay a ridiculous $700 per acre for this 80 acres of dream property that I could farm but also hunt! I now own an additional 165 acres that joins that property, lease 160 more, and have made it in to one of the coolest recreational properties in the area! It’s taken time and money but it’s been very rewarding to see it evolve. 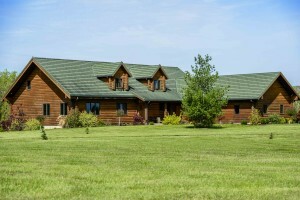 We now have a 10 acre lake and nice lodge to stay at when there. My kids get to enjoy it and I can’t wait to take my grandkids hunting or fishing when they enter this world. There are many things to consider when you start the process of buying a property and I will lay out a few important guidelines for you to consider in your quest. First and foremost you have to be able to afford what you buy. By all means do not buy more than you can handle financially. If you have a family to support, their needs have to be met first. I’ve been in the recreational land business for many years and have seen several situations where the owner gets over extended and what once was a dream turns in to a nightmare. I don’t want to sound like negative Nancy, but this is supposed to be a fun and enjoyable experience you are about to get involved in. If you need to obtain a loan to purchase your farm you will need a good relationship with a banker/loan company. Your realtor should be aligned with loan company options. I suggest that you work with a loan officer that understands recreational land and it’s value. Typically you will need a 25% down payment of the purchase price or appraised value, whichever is less. There aren’t many loan companies that offer competitive fixed rate loans on land. The norm is a 15-20 year amortization but only guarantee the interest rate for 5 years or less. Your banker will help you determine the size of loan you can handle and payment structure that’ll work best. If your farm has annual income from cash rent or CRP payments you can structure an annual or semi-annual payment. Don’t tie yourself down to a monthly payment if this is the case. It just creates stress. Also keep in mind if your property does have rental or CRP income, there is a final date that these contracts end. 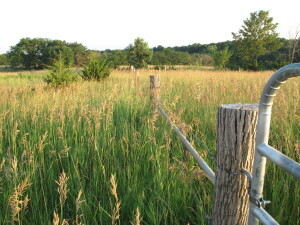 Have a plan for after CRP ends or if crop prices fall and rental rates have to adjust lower. If your land has timber I always suggest getting the value of it estimated so you can have that potential income in your back pocket if you get in a pinch for payment money. Another suggestion I highly recommend you look in to is an IRA exchange. You can roll your IRA tax deferred money in to land purchases. I have done several of these in the past 5-6 years and it has worked well. Please contact your attorney for the legalities of this process. 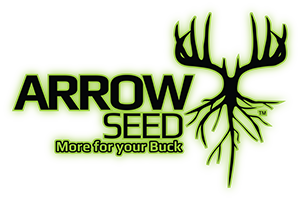 Other expenses to consider are annual taxes, liability insurance, food plot expense and planned improvements and also travel expense. I have a farm in Central Kansas and it takes a minimum of $250 per trip to go there and work or hunt. It adds up! Now that you have an idea of what you can afford let’s move on to the fun stuff! Now that you’ve established what you can afford it’s time to lay down the requirements of what you are looking for in a property. Are you a bow hunter, gun hunter or both? Is it solely for trophy deer hunting or do you want something that will offer a wide variety of enjoyment options? We often get swept up in the monster deer world but some of my best memories when I was young are, hunting rabbit, squirrel, game birds and fishing and camping with friends. Four wheeling, hiking, and horseback riding are also great ways to enjoy the outdoors with friends and family. Do you want easy access or a place way off the beaten path? Will you want electricity and water? Will you eventually build? Building roads and running utilities is not cheap and they are all factors to consider in your search. Each property is different, so I suggest you make a checklist of your requirements before you start searching and you will save a lot of time in choosing what’s right for you. Location is a very important piece of this puzzle. Consider how often you would like to enjoy your property. If you’re a trophy deer hunter this isn’t nearly as important as if you are a weekend warrior that wants to enjoy your farm a couple weekends a month or more. It’s a fact that big mature whitetails don’t like a lot of human company! The less you are around you will seriously up your odds of them staying on your land. This is not to say you won’t shoot a giant on your farm, but it most likely will be the rut or late season if you have a great winter food source. Another very important factor is neighbors. 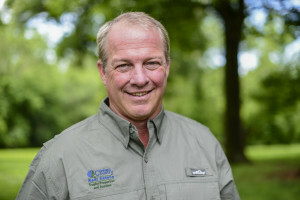 It never hurts to seek out a few adjoining landowners and see if you are all on the same page as how they and you are managing your wildlife program. Another thing to consider is if there isn’t lodging or camping on your property, how far is it to where you can stay and eat meals? In selling recreational property for many years I can attest that if you are a weekend warrior I would suggest no more than a two to two and a half hour travel time one way. So many times I’ve seen people buy from a further distance and as years go by they will visit the property less and less. With that, condition of the property will deteriorate and eventually you will have a mess on your hands. It seems every client I deal with tells me they want “as much woods as possible”! Well, this is great if there is a diversified amount of land surrounding you. I will agree if you are buying 40-80 acres of land and the surrounding terrain and habitat will support your acreage. If you were buying a larger tract I would seriously consider a mix. I personally use the 40-30-30 rule for perfect habitat for a wide variety of game. That is 40% timber, 30% open, and 30% brush, native grass or good bedding areas. Having plenty of water is always a plus. You can always build ponds down the road if that is all that is lacking. Most states have cost share programs in place to considerably offset the cost, so I wouldn’t let the fact of not enough water be a deal breaker should everything else you see suit your needs. The Midwest is probably the most diverse area for terrain options. You have steep, rugged large timber tracts, rolling hills, river bluffs, as well as flat plains type land and many level creek bottoms. Things to consider are the difficulty of getting in to your land to hunt when muddy or deep snow. Can you access it from multiple directions to take advantage of wind conditions? Does it flood occasionally? 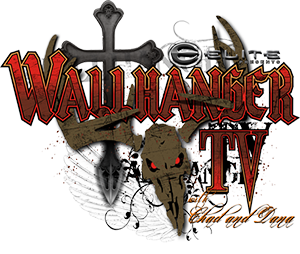 Are you in good enough physical shape to walk the extra mile to hunt in remote areas of your farm? These are all personal preferences. Everyone is different and needs to seek out what they’re comfortable with. In summary I would tell you to develop a plan with the guidelines set out in this article. Find a professional who deals with this day in and day out and ask lots of questions! I love my job, have been in farm and recreational land sales for years and help people every day with finding just the perfect property to fit their needs. Land is one of the most stable places where you can invest your money. I have recreational land that I purchased in 1992 for $300 per acre that would now bring $2500 per acre. I’m happy with that investment and have countless days of enjoyment on this property. I would have to ask you. Are you enjoying looking at your stocks, IRA’s or other investments every day? Can you touch them? Feel them? Smell them or walk, hunt or fish on them? I’m not telling you to dump it all, (although I would with what I know) and invest in land. But, you can invest a portion of your wealth for enjoyment and have a safe investment at the same time! Life is short! Land will never treat you wrong! What are you waiting for? 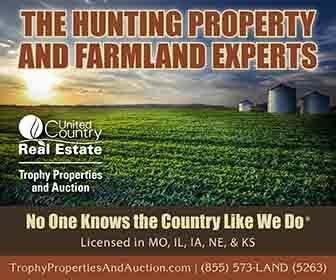 Donnie McClellan is a broker partner for United Country Trophy Properties and Auction, licensed in Iowa, Missouri, Illinois, Kansas and Nebraska. If you have questions or comments please contact Donnie at dmcclellan@trophypa.com or call 816-752-8880. Please visit our website at www.trophypa.com.